If you want to plant impatiens this year, you can take steps to decrease your chances of having your flowers killed by the blight called downy mildew, said Margery Daughtrey, senior extension associate with the Section of Plant Pathology and Plant-Microbe Biology at Cornell University. One thing you can do is to plant your impatiens in hanging baskets where they might be more sheltered from the disease. You can also plant them among other plants so that you don’t have a monoculture in your garden. Even if you do these things, realize that you’re still playing the odds, Daughtrey said. Your plants might do well, or they might die from downy mildew. It depends on a number of factors, including how rainy our weather is. Some gardeners don’t want to take the chance that the flowers they lovingly planted will die from disease. They would rather choose other plants for shade, and there are many. See some alternatives to impatiens here. Also read about Bounce, which was introduced last year. However, some gardeners still want to plant impatiens. If the disease isn’t in their area, their plants won’t be affected. Bear in mind, though, that the spores that cause the disease can be carried by the wind, so even if you didn’t have a problem before, you might have a problem this year. But if you want to play the odds, you can plant impatiens. Even if the disease strikes, their impatiens may not die until August, which is late enough in the season that some gardeners don’t mind losing them. By then some gardeners are ready to replace summer annuals with mums anyway. The treatment that growers use protects the plant for about a month, and that can get the plants safely through June. Then it depends on the weather, she said. If July is rainy, your impatiens may succumb. If the weather is dry, your impatiens may be fine, even if the spores that cause the disease are present in the soil. The spores that produce the disease can remain in your soil for years. If your impatiens died from downy mildew in the past, and you plant impatiens in the same spot, the disease could be waiting in the soil, Daughtrey said. Splashing rain can spread the disease. However, if the spores splash on a plant other than impatiens, that plant won’t be affected. Try planting something different in a garden bed where you have had a problem with downy mildew in the past. If you want to use impatiens, the safest thing to do is plant them in a hanging basket, Daughtrey said. As she told us in a previous article, keeping the leaves dry and allowing air circulation may keep the disease at bay longer. Planting impatiens in containers and setting them on a porch or other area with a roof where they are shielded from rain may help. When you water plants in containers, you tend to water the soil rather than spray the leaves, which can be beneficial. In addition, impatiens in a hanging basket may benefit from better air circulation. 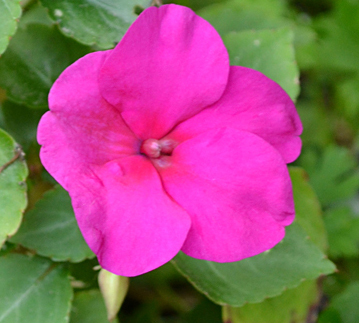 Get more tips on caring for impatiens here. If you want to plant impatiens in the ground, try planting them 30 feet away from where you have had a problem in the past, she suggested. Or you could try planting impatiens in the same spot and see what happens. Daughtrey said she and her colleagues will do research on that this year. In the past three years, cases of downy mildew on impatiens have appeared throughout the state, but the cases have been wide apart and have occurred late in the season. The odds of seeing downy mildew killing impatiens are going down in part because fewer gardeners are growing impatiens. As she told us previously, you don’t have to feel guilty about planting impatiens; you’re not hurting the environment. That article also contains an explanation of what scientists know– and don’t know– about the disease. Can you buy impatiens locally? Some garden centers will carry impatiens, some will carry fewer than they have in the past and some won’t carry them at all. 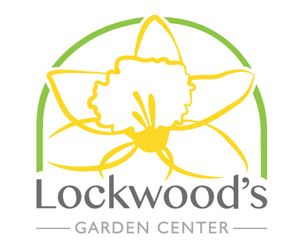 Tip: Whenever you want to know who has a specific plant in stock, contact the garden centers directly. You can click on any of our ads or see a list of businesses in our Gardening Directory. They are still growing impatiens, said Ethan Waterman, manager of Waterman’s Greenhouse, 12317 Vaughn St. (Route 240), East Concord (Springville). They haven’t had any gardeners say they had an issue with their impatiens, or if they did have a problem, it was late in the season and the gardener didn’t mind. They are selling less than they have in the past, but they do still sell them, said Ray Crawley, store manager at Goodman’s Farm Market, 2227 Cayuga Drive Extension, Niagara Falls. They will have a limited amount and recommend them for container use rather than in garden beds, said Mark Yadon, vice president at Mischler’s Florist and Greenhouses, 118 South Forest Rd., Williamsville. They are not selling impatiens this year, but the situation is going to change from year to year, said Teresa Buchanan, general manager at Lockwood’s Greenhouses, 4484 Clark St., Hamburg. “I guess the best answer is that there are good alternatives that can be used, so why risk it again?” she said. They won’t carry the common impatiens or the double impatiens, said Jen Weber, retail manager at Mike Weber Greenhouses, 42 French Rd., West Seneca. She noted that they will carry SunPatiens, which are a type of New Guinea impatiens, as well as New Guinea impatiens. Thank you for keeping us current. So many of us depended on impatiens before downy mildew became a problem. Well, last year there was a new plant to talk about, but unfortunately, this year there isn’t anything new for shade gardeners. I wish I had better news to report! Our neighbors planted impatiens in our center medium for years and years. Now they have stopped planting around the utility poles. It was a shame to lose this plant to disease.